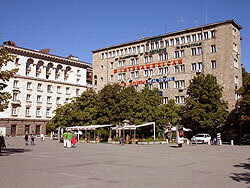 Triaditsa (a prime area) was an old name for the city of Sofia. Today, the district of the same name in southern Sofia encompasses three neighborhoods: Ivan Vazov, Strelbishte, and Gotse Delchev. The municipality is home to several important medical facilities, and has many schools for children. Many apartment buildings here were built in the 1960s. Recent investments in Triaditsa have resulted in the construction of new residential and office buildings, particularly in the Gotse Delchev area. 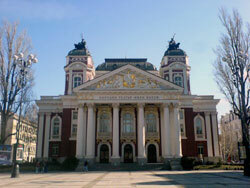 Ivan Vazov is one of the city’s most exclusive quarters, very close to the city centre. You'll find a wide variety of architectural styles: detached family houses, multi-floor panel and brick block buildings, and high-rise EPK buildings. Most of the bigger residential buildings were built in the 1970s-80s, although new apartment blocks have gone up recently. Recently, the Ivan Vazov quarter has been found to have the highest property prices in Sofia, due in large part to its central location, good infrastructure and Yuzhen Park (Southern Park), part of which is in Ivan Vazov. Southern park is Sofia’s second largest park, and has children’s playgrounds and a sports centre. Its serene, leafy beauty makes it a popular rest and recreation area. It’s a popular exercise area for athletes and joggers as well.